British American Tobacco joins the Woking team to announce their electronic cigarettes in a restrictive legal framework for advertising the sector. While the Australian publicity authorities verify if the link between Ferrari and Philip Morris and their motto 'Mission Winnow' is a legal announcement for that country, this Monday McLaren has announced its sponsorship agreement with another of the big companies of the world tobacco industry : British American Tobacco. The aim of 'BAT' is to promote the products that they catalog 'of reduced potential risk', among them its two brands of electronic cigarettes or a device that heats the smokeless tobacco, and the British firm obtains an agreement multiannual to follow occupying the empty space of the MCL34. Since 2005 are prohibited the announcements of tobacco in sporting events of the European Union and progressively the marks of this sector, that in the 90 were the most usual of the grill, retired of the F1 except for Philip Morris, historical hidden advertiser of the Scuderia.2 222222 The FIA officially finished with these ads from 2007. It is from the last races of 2018 when they have re-advertised indirectly in the Maranello car with the aforementioned motto, linked to their electronic cigarettes. Now the Woking team recovers another firm that already went through F1 being in its day owner of BAR (British American Racing), team that competed between 1999 and 2005 linked to Honda for six seasons with the colors of the brand 'Lucky Strike' in its body. They were second in the constructors' championship in 2004 with Button and Sato as riders, but from 2006 the team was sold to Honda. Interestingly, it was the same structure established in Brackley that in 2009 he won the World Renowned as Brawn GP with Mercedes engine and that since 2010 is owned by Mercedes. 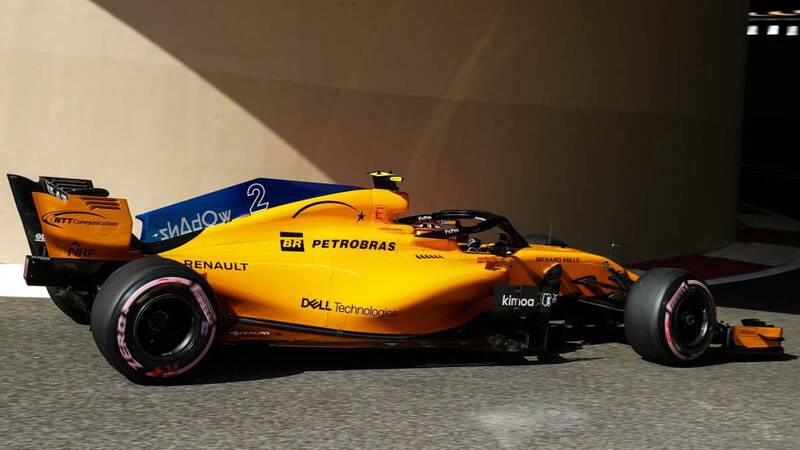 "We welcome 'BAT' to the team McLaren and support his ambition to bring meaningful and lasting innovations ", says Zak Brown, CEO of McLaren, who while waiting to find the main sponsor of the team has fulfilled the task of including dozens of brands in the orange body. Although now they will have to study a message that does not violate the restrictive world laws related to advertisements for tobacco in sport.